USDCAD is under the influence of some economic reports and data such as Philadelphia Fed, Existing Home Sales, Existing Home Sales and Leading Indicators in the US. 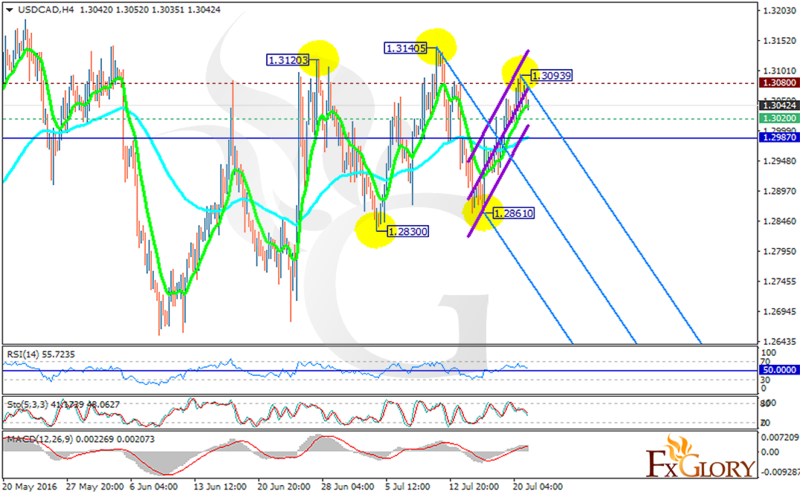 The pair had been moving with bullish bias since the previous low at 1.28610 until it left a high at 1.309390. The support rests at 1.30200 with resistance at 1.30800 which both lines are above the weekly pivot point at 1.29870. The EMA of 10 is rising sharply above the EMA of 75 which is located on the weekly pivot point. The RSI is getting close to the 50 level, the MACD indicator is in positive territory however it is getting close to the neutral area and the Stochastic is showing downward momentum. There is a strong resistance around the 1.308 area we expect the price fall around the 1.28 area.